Pro-Ject Stream Box DSA is a fully equipped audio streamer boasting audiophile amplifier functionality as well as a host of new features. 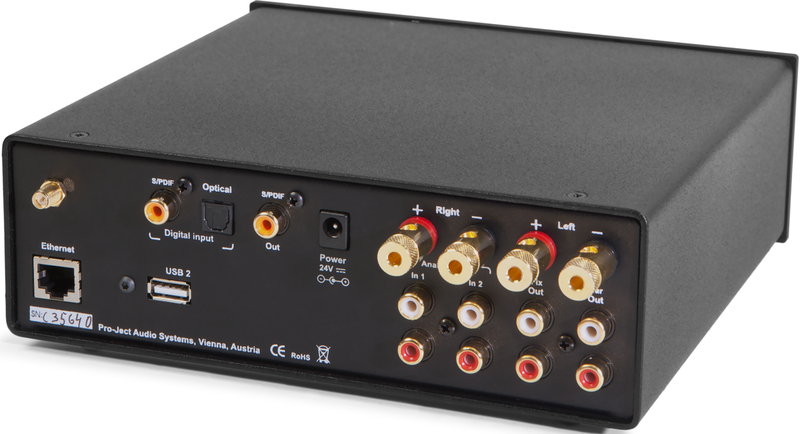 In addition to the Pro-Ject Stream Box DSA's streaming capabilities, the unit works as a digital/analogue converter for other digital sources including USB, Coax and Toslink. The Stream Box's versatility is demonstrated in its remarkable performance as a pre-amplifier with two extra analogue sources and audiophile power amp. 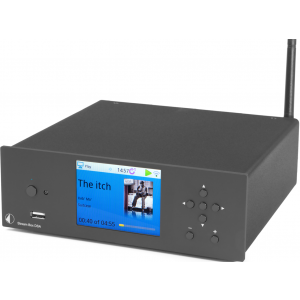 The Stream Box is ideal for users who want a highly musical device to play all their digital music sources from iPod. 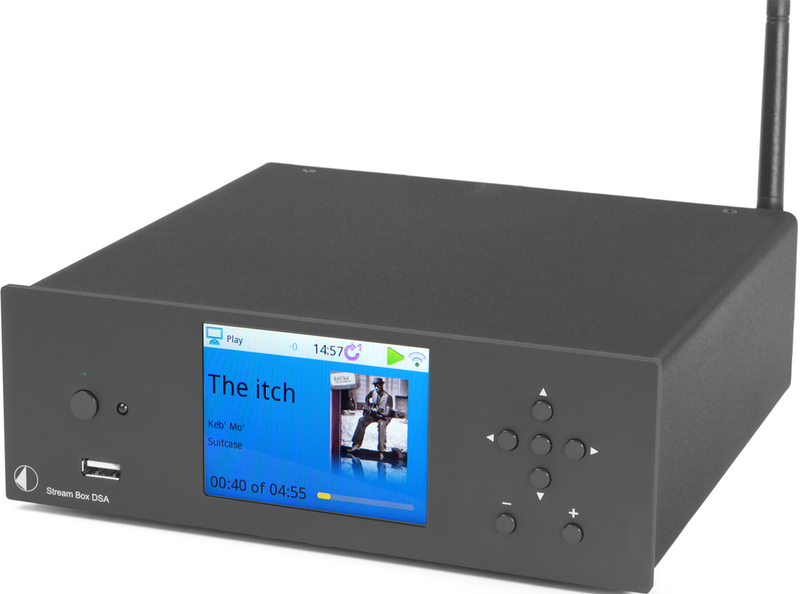 internet radio, NAS drive or HD music from a hard drive. Built with a user-friendly format, the front panel incorporates navigation and volume controls which can also be controlled via the included IR remote or free Box Control iOS/Android app. The Box Control software by Pro-Ject Audio uses a purpose-built NetAPI software that comes pre-installed on all Stream Box DSA streamers. The software provides full-control of the whole Stream Box system including navigating hard drives and playing Internet Radio. 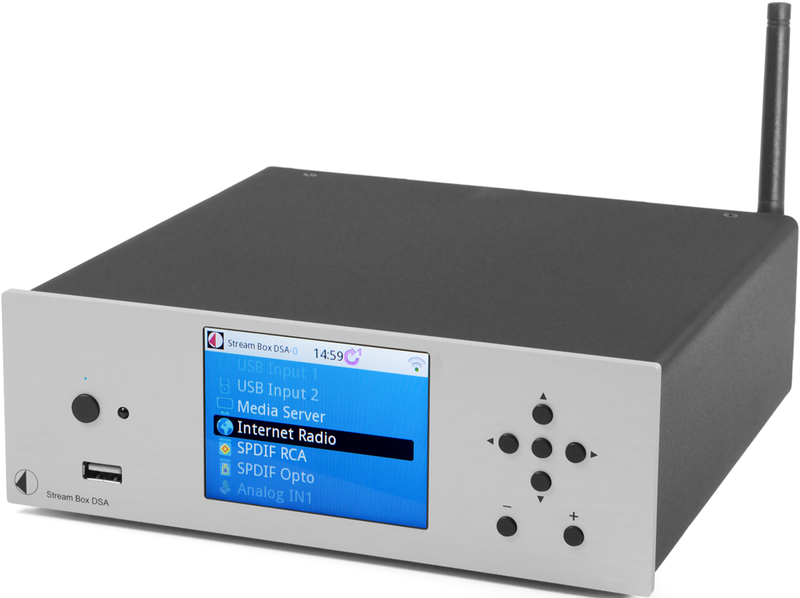 Stream Box DSA can also be used as an Airplay-like product or by downloading SDS Technologies Jamcast app, it can function as a virtual soundcard on your network. Jamcast enables audio playback transmission from a computer to a Stream Box DSA over the network, enabling premium services as Spotify, Grooveshark and Last FM.